Internally, Leadwerks Editor uses an EventHandler class for every interface in the program. The material editor is a class extended from the EventHandler. So is the little window that has all the controls to calculate normals. So is every viewport. Every EventHandler has access to events as they occur. This is how all program actions are handled in the editor. If the plugin makes no changes to the event then it simply returns the original event. The returned event is then sent to other event handlers. Okay, now let's see if we can design a plugin for something people would actually want. Let's imagine we have a new visual material design system. The exact details of how it works are not important, it's just a system that overrides the default material editor. The design system would require materials to have a special file associated with them with the extension .DESIGN. If you open the material "brick.mat" we will look for a file in the same folder called "brick.design". If the design file is found we open the material in our special editor. If the design file is missing we will just fall back to the default material editor. As you can see, this approach is extremely powerful. The event IDs and design rarely change, if ever, so this allows a lot of flexibility and at the same time gives us the optimal compatibility as changes are made to the core editor. With this approach to plugins you can literally do anything you want in the editor. Next entry What Makes a Good Brand Name? This would not have been possible in the Leadwerks 4 editor. Leadwerks 5 uses C++ for the editor and engine, which is really possible because of our use of C++11 shared pointers, which makes complex data management a lot easier. We can also expose a new API of internal editor mechanics to Lua now. Will this allow us to draw 3D elements on the 3rd view? Or save data to an entity in the GetKeyValue/SetKeyValue functions? It would be nice to automatically re-skin NPCs in my game based upon my backend game data. You could create a new entity in a script that gets rendered in the 3D world, yes. I don't know about map format customization yet but that does not sound too hard. I would want to implement it with key values like you describe, or something like that, so that the maps can be loaded by any Leadwerks program without any special code or plugin required. You could even distribute a set of plugins with your game to modify the editor into your own special game editor. editor.materialeditor.exportextensions = editor.materialeditor.exportextensions + "Truevision Targa (*.tga):tga;"
Theoretical example to add a TGA exporter to the texture editor. I don't know about map format customization yet but that does not sound too hard. Would that also allow us to add items to the scene tree programmatically? Yes. Not every entity is shown in the scene tree. You will create a SceneObject from an entity and that will be editable and show up in the tree. The examples seem to start with a file extension launching custom dialogs. Will there be a way to add menu items to launch dialogs? That would actually be really great to beable to draw widgets on the editor... maybe leave a little blank space for em Although I feel like this can be done regardless so long as the Editor uses LE's UI/Window system. Or if the widget sidebar was a scrollable panel, and you could add elements to it? I really like this approach because it is almost like open-sourcing the editor but even better because all the customizations are plug and play. Ahhhh custom menu items . I have been looking forward to this for so many years. Can't wait to get my hand on this. I'm going to shoot pie in the sky here since this seems like it's in the early stages. The editor, if I recall, uses ENET. Now to create these add-ons using the LE UI or our own custom built will be painful. Having limited controls available and having to type out the creation/positioning of any kind of complex UI is really unreasonable in 2018. So I think about why not let users use other tools to create these UI add-ons like .NET or Java or anything else they like (BMAX?). I think about the communication challenges with doing this. After all these add-ons would have to talk to the main LE editor to manipulate things and get information. So how about some kind of ENET communication system? Use TCP and create/document commands and their parameters for our UI add-ons to manipulate and communicate with the LE editor. This would really open the door to easier add-on creation and would create a nice API layer for the editor itself. Something that I'm sure will have unforeseen benefits down the line. Maybe it would make sense to build the editor into the engine and make it part of the API even? I have considered this. The final editor might just be a Lua script file that creates and positions various components that are built into the engine. Another thing to consider is someone might make a plugin that lets you visually create UI components. This is a possibility. Some engines do this. 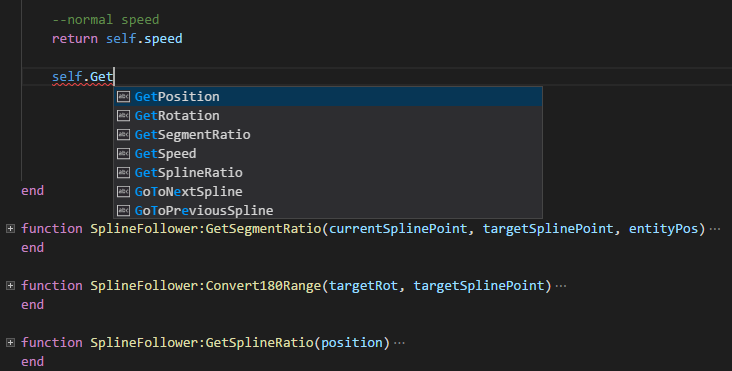 I don't personally like it because I believe with those engines you run the editor from Visual Studio which sort of kills the ease of use for newbies. While this is for sure possible and I would love it, in my view UI elements for a game vs an editor of sorts are 2 completely different things and very hard to pull off to making them one. The editor you have and any add-on editor someone would create is simply easier, more efficient and more standard (more people will know it) to do with something like .NET or Java or even BMax like you did (although less ppl know that compared to the other 2 mentioned). However, like I was saying as long as there is a networked way to communicate with the LE editor then people can use whatever they want and feel comfortable with because all of those frameworks can make network connections to do that communication very easily. This actually could be accomplished with a Lua plugin that uses the network API to communicate. However, like I was saying as long as there is a networked way to communicate with the LE editor then people can use whatever they want and feel comfortable with because all of those frameworks can make network connections to do that communication very easily. That would also go for the debugger. If we had an api to Leadwerk we can add our own IDE's. I use Visual studio code for writing Lua but it lacks the debugging options. It is possible to extend the tool with a custom debugger but not without having access to leadwerks debugger functionality. I have VS Code but haven't worked too much with it. It's crossplatform too isn't it? Do you like it? Honestly with it being newer and more lightweight I'm sure it's great and could probably be considered as a defacto editor for lua and LE. Comes with various default styles, but can be completely styled to ones desire. Supports many languages. Lua support via plugins. You can attach your own debugger code via debugger extensions. My favorite: can be easily extended with custom plugins. I could make this little leadwerks plugin that looks at the online documentation and shows it in the second screen. It could actually load in the entire Leadwerks api from here and display it for you. it can automatically install a lua intellisense plugin as a dependency. How do you make intellisense work with lua? Can it be configured to display Leadwerks commands? How does it know the object type? For example, in this function how can you tell it that the entity is a Leadwerks entity object? I will do some experimenting with this. These are things that I haven't tried yet. I will have to play around with this before I can give an accurate answer. Like I said, it is not as powerful as with strong typed languages like C#/C++. But maybe something like showing a list of all Leadwerks functions is possible once you have type something like "myVariable:". The 'intellisense' you saw in the screenshot above only roughly displays some of the functions it can find on the page and perhaps some other methods. Either way a custom intellisense extension could work/help, but will not be as sophisticated as C#/C++. Perhaps when the colon is typed, the variable used in this case, could be lookup in the current page and see where it is first declared. The intellisense could see that 'Model:load' is used and 'assumes' it is a model, display Leadwerks model functions first. I don't know, just thinking out loud here. There is enough stuff out here to spend a lot of time on. Will make a video/blog if I have something worthwhile. Lua seems to have similar project to do the same thing: https://github.com/andremm/typedlua but it's dead and obviously wouldn't recommend it anyway as the flexibility of not being a typed language has it's benefits, especially in game dev. However, some form of autocomplete, as you'e done, is always possible it's just not what people have come to know as autocomplete in other typed languages. Since autocomplete will be an issue for every editor, it's the other things to look at for an editor.